India vs Australia: The live streaming and live cricket score of IND vs AUS 4th ODI will be provided by Star Sports, Sony Six, Hotstar. Here’s how to live cricket match watch online today on crictime, smartcric, dd national, and other tv channels. The Indian national cricket team has won the 5-match one-day series by winning the first three games. The men-in-blue have outclassed Aussies in every cricketing department so far. Now, they have the opportunity to perform experiments with their playing xi in further matches. With the victory in the third game, India officially became #1 in the ICC ODI rankings. It has already been number one in the Tests. In this series, India won by 26 runs (DLS), 50 runs, and 5 wickets in the first, second, and third match respectively. One more victory in one-day matches will keep the men-in-blue at number one for a longer period. Today’s match starts at 1:30 pm IST and will be played at M Chinnaswamy Stadium, Bangalore. So far, Australia has been seen struggling with the bat. It is visible from the fact ever after getting a good start in the third ODI, they failed to cross the 300-mark. The upcoming game is going to be interesting. Bangalore stadium is quite a small one and many runs are expected. Moreover, it has now come to Australia’s honor. They will have to win the rest of the two matches to preserve self-respect and boost self-confidence. The toss will take place at around 1:00 pm IST and live coverage will start at 12:30 pm IST. Star sports network will broadcast it live on TV screens on both of their SD and HD channels. Indian audience can switch to Star Sports 1 live streaming and Star Sports 3 and their HD versions. The UK viewers can go to Sky Sports networks to watch it live. India will still look to win the rest of the two games to whitewash the series by 5-0. Australia has already lost by 5-0 in ODI series against South Africa. India is on a 9-win streak in a row and 6th series win in a row. India – V Kohli (c), A Rahane, R Sharma, M Pandey, K Jadhav, MS Dhoni (wk), H Pandya, B Kumar, K Yadav, Y Chahal, J Bumrah, KL Rahul, R Jadeja, U Yadav and M Shami. Australia – Steve Smith (c), David Warner, H Cartwright, M Wade (wk), N Coulter-Nile, P Cummins, James Faulkner, Peter Handscomb, Travis Head, Glenn Maxwell, Adam Zampa, Kane Richardson, Marcus Stoinis and Aaron Finch. India to win. What are your views and thoughts? Who will win today? 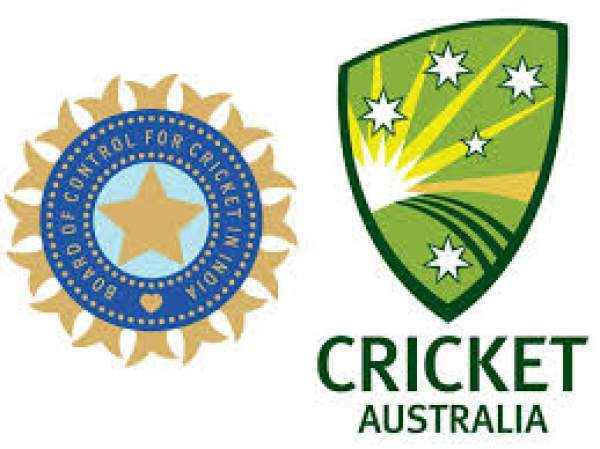 Come back for India vs Australia live streaming, live cricket score, commentary, ball by ball updates, match result, the man of the match, video highlights, scorecard, and much more.